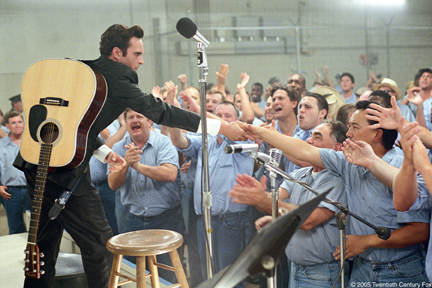 It turns out that Johnny Cash’s life and the people he rubbed shoulders with is incredible. The stories he has are inspiring. I am not sticking up for everything that Johnny Cash did, but I have to say that it was so unfortunate that he was married with children just before he reached his dream of being a musician. He let that old life go, hurting his family, and continue on following his dreams and the new life that come with it. A lot of ups and downs which can become exhausting to watch, however, that just proves how convincing the film was; it really put you in Cash’s shoes. 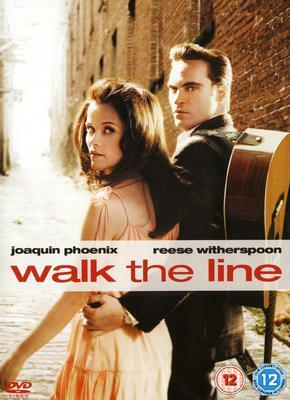 Reese Witherspoon, having not enjoyed her performances for almost all of her movies, pleasantly surprised me in Walk The Line. She was very convincing as June Carter and I have a new found respect for her. 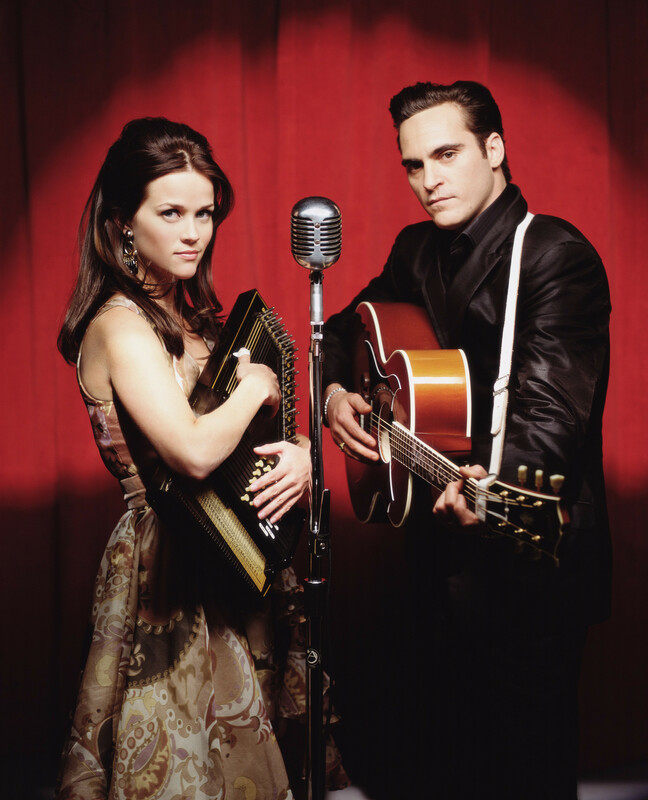 Joaquin and Reese both did their own vocals… I’m afraid that I enjoyed their vocal performances more that the original Johnny and June performances! I feel bad for saying that, but their sound is so upbeat and their voices are quite similar to Johnny and June’s. Very well done indeed! I love the sixties – as I am sure you are aware – so seeing Elvis, Jerry Lee Lewis and a few of my other favourite rock n roll stars was awesome! The clothes, the atmosphere that was so convincingly authentic was beautiful. Can you name all of the rock and roll stars? 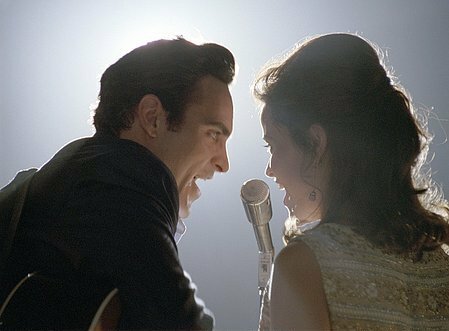 A gorgeously filmed biopic with fantastic actors and characters. Gallery | This entry was posted in All Film Reviews, Date Night Movies, drama, Editor's Pick and tagged 2005, 2013, awesome, blues, connie, country, film, film freak, film review, filmfreak, freak, Joaquin Phoenix, johnny cash, june carter, movie, music, nz, reese witherspoon, review, rock n roll, sixties, song, walk the line. Bookmark the permalink.